Versatility has to be one of the biggest assets parents are looking for when it comes to shopping for a new pram or stroller. Some mums want parent-facing strollers, while others are more worried about second seats and bassinets. 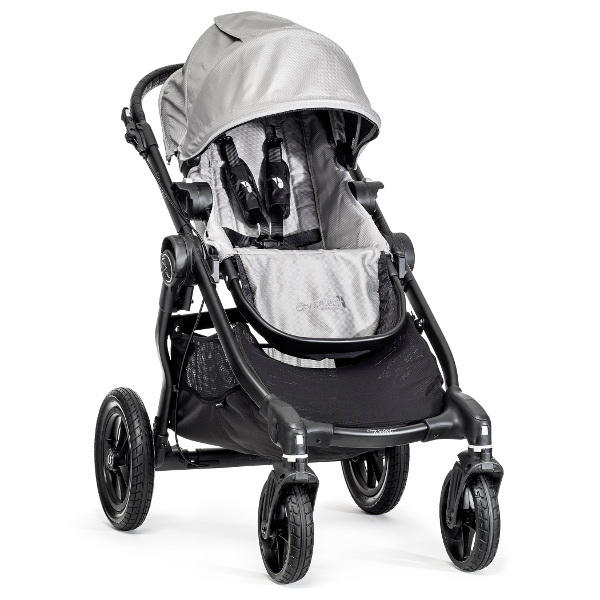 Whatever feature is high on your priority list, City Select by Baby Jogger has it covered. 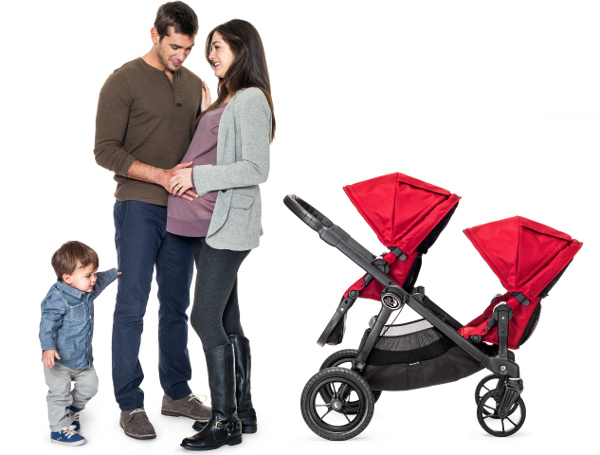 This spunky stroller and pram has a total of sixteen configurations so it’s designed to grow with your family. Front-facing, parent-facing or sibling-facing – choose your favourite seating arrangement, or better still, let your passengers decide. A second seat, glider board, car seat adapter and bassinet kit, which are all sold separately, can easily be added to the City Select. The multi-position UV50+ canopy makes shielding your child from the sun easy. It also features a peek-a-boo window and adjustable head height. 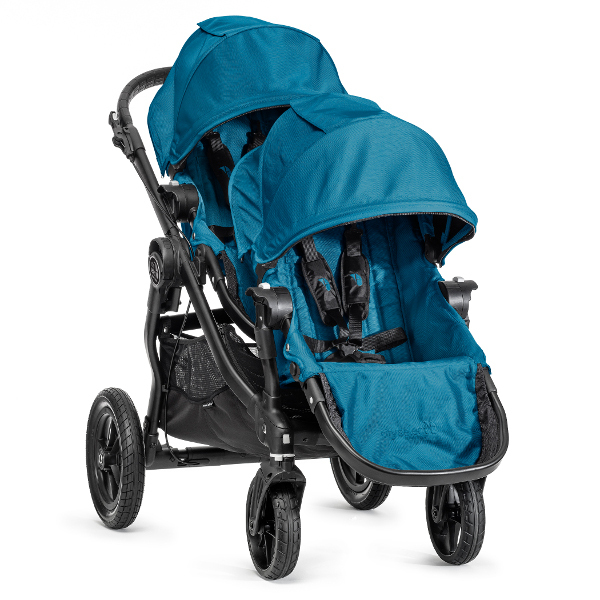 Safety is always a big factor for every parent on the market for a new stroller. The City Select has a hand-operated parking brake and the wheels are built for stability and endurance. The eight-inch lightweight swivel front wheels have suspension and sealed ball bearings, while the twelve-inch rear wheels are foam-injected. The adjustable five-point safety harness comes with shoulder pads and a buckle cover. And if it’s ease of use you’re after, the City Select has patented quick-fold technology. In just one simple step, hey presto, the stroller is folded and ready to load into the car. Plus it weighs just 12.5kg – lighter than my two-year-old! Comfort is high on the agenda too. For bubs, there’s multi-position reclining seat reclining and multi-position tilting footwell. Nothing is forgotten – the telescoping handlebar has a wipe-clean grip, the underseat storage compartment is lovely and large and style-wise, there’s plenty of colours to chose from. Take your pick from charcoal, teal, black, red and silver. The City Select has a 20.5kg weight capacity per seat, so it’s going to last you from the “can’t walk” age right up to the “can walk, but won’t” age. The City Select costs $949 with the second seat priced at $274.95. Find a list of stockists over at Baby Jogger.